Hi, Nikki! I have a real sister and brother, and they can be so annoying sometimes, but you gotta love them! My sister is 15, and she can ask too much about my day at times, but she also helps me with my homework. She is in high school, because she is so smart, she got to skip a bunch of grades, and I don’t get to see her that often, so I like to spend all the time I can with her. My brother is 6, a couple years younger than me. I like to play games with him, but he can ask help for homework that I don’t even know, but still! Like my sis, I skipped a bunch of grades because I am so smart, so I am now in fifth grade even though I am only 9. My brother skipped a few grades too so now he is in third grade even though he is only 6. I love my sister and brother! I gotta go! My brother is calling me to play a game! Bye! Wow, you’re all really smart! I would have Racel Renee Russel as my older sister and i would have Everleigh from YouTube as a little sister. I would like Hermione Granger as my older sister because we both have the same hobby and passion, so we’ll bond perfectly together! I would also like my crush as my twin (no reason!). I would have Nikki as my older sister because she is smart,kind,amazing and inspiring! I would like anyone with a nice heart and a friendly attitude to be my older sister or brother wouldnt mind if their irritating it normally comes with the sister and brother package anyway. Hey I love this idea. Yes. I have a brother. He is SO boring. (Sorry, Bro) he hangs out with his friends. I wish I have a sister. I want my sister to be Mackenzie Ziegler or Brynn Rumfallo. I want Nikki as my Older sister cuz she da best!!! 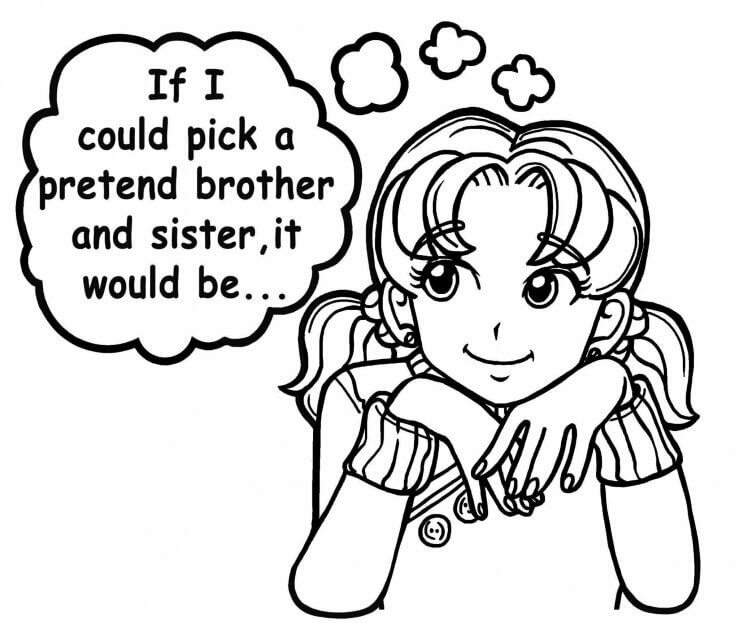 Honestly, I would have either Skwisgaar Skwigelf from Metalocalypse or Allen Jones/2p America from Hetalia as a brother, and I would have either Olivia Moore from iZombie or a friend’s oc, named Clancy, as a sister. I love them so much. The twins I met at theater who are now my BFFs!!! They are AWESOME!!! I would like Niki to be my sister and we would be twins and be in the same class and both of us would hate MacKenzie together! Lol, I have a sister and two brothers. I REALLY wish i had another sister!!! !